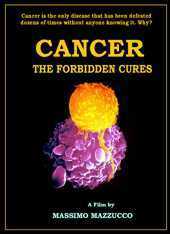 View cart “World Without Cancer (book)” has been added to your cart. These documentaries were produced by G. Edward Griffin in the 1970s and 80s. Some of them lack the production values we have come to expect with the advancement of modern video technology, but their messages are what have kept them on our high-demand list ever since. Their vintage has made them even more valuable today, because the hidden forces and agendas they described now are visible even to the mainstream. While many scoffed at these programs when they first appeared, now the typical reaction is amazement that all of this was known and documented decades ago. This makes it imperative that we pay serious attention to these messages because of what they tell us about what still lies ahead. When purchased as a set, these items are discounted 40%. 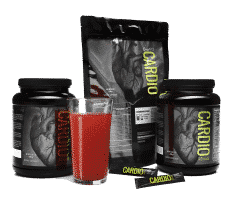 The normal price is $58.50 but, in this bundle, it is only $35.00. This package does not qualify for free shipping. 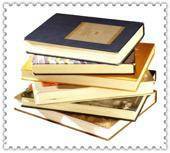 For additional information about any program, click on its image or title. The Hidden Agenda; Merging America into World Government(DVD)as told by Norman Dodd, Congressional investigator of tax-exempt foundations. The foundations, since at least 1945, have been promoting an agenda that has little to do with good works or philan-thropy. It is the creation of a world-wide collectivist state, ruled from behind the scenes by those same interests that control the foundations. This interview, conducted by G. Edward Griffin in 1982, has captured a rare but vital piece of history. 60-min. Normally $19.50. No Place to Hide; The Strategy and Tactics of Terrorism(DVD)written and produced by G. Edward Griffin. This documentary removes the mystery from international terrorism. It is but one phase of the Marxist-Leninist dogma of so-called Wars of National Liberation. The terrorists themselves are dispensable players because, when the target governments are finally toppled, it will not be the terrorists who come to power, but the international Marxist apparatus that trained and supplied them. Written and narrated by G. Edward Griffin in 1982. 60-min. Normally $19.50. 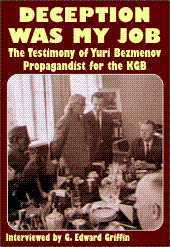 Deception Was My Job; The Testimony of Yuri Bezmenov, KGB Propagandist (DVD) Yuri Bezmenov, the son of a high-ranking Soviet officer, was a member of the propaganda arm of the KGB, known as the Novasti Press Agency. He accompanied journalists visiting the Soviet Union to make sure they did not discover the truth about Soviet life. After becoming disillusioned with the oppressive system, he escaped to the West at great risk to his life. This interview was conducted by G. Edward Griffin in 1985. 90 minutes Normally $19.50.